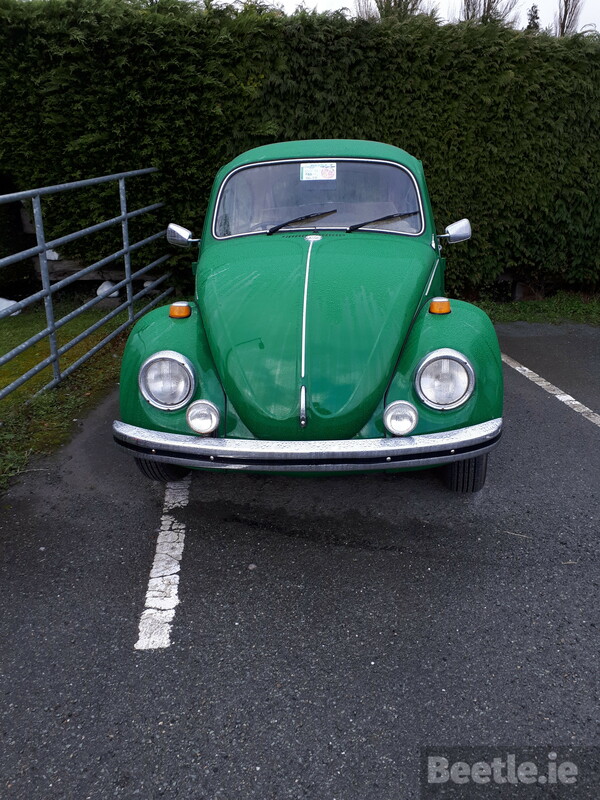 Thanks to Andrew and Erica Breen for submitting this gorgeous Beetle that they spotted at the train station in Sallins, County Kildare recently (March 2019). This 1972 Beetle which we can only assume has just recently been fully restored, is finished in the wonderful shade of green called Sumatra Green but it’s the interior that seems to really set it off. 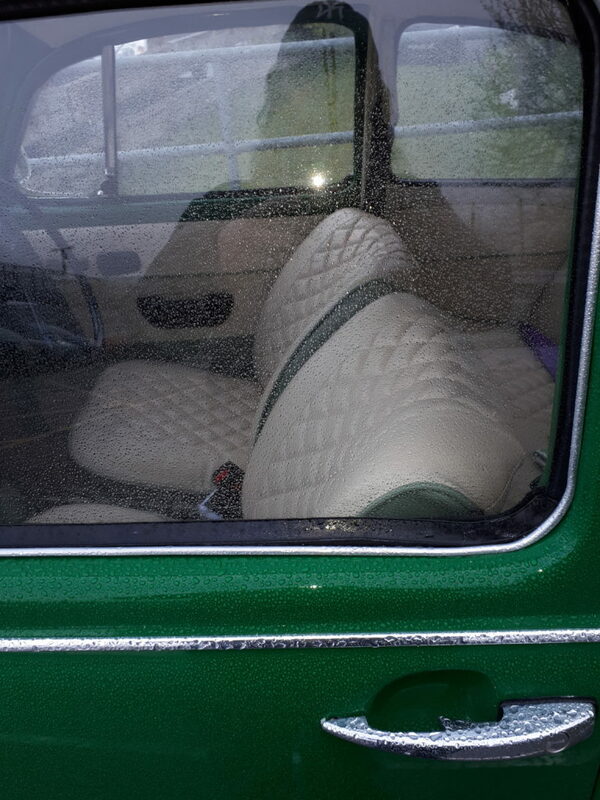 The tan interior is finished with a diamond stitch pattern with green sides. The door cards have not escaped the touch of the upholsterer and again features tan vinyl with green highlights. 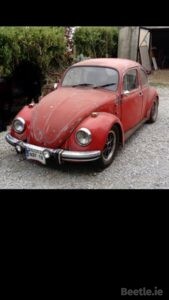 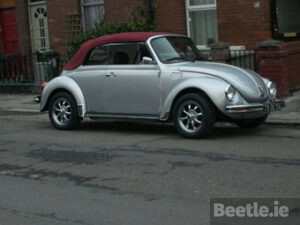 The exterior of this ’72 Beetle has not escaped either. 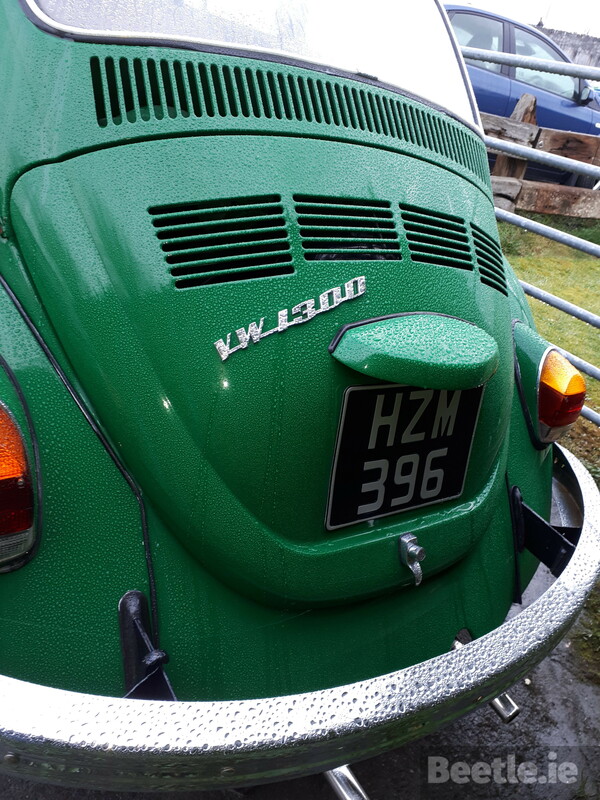 It’s been dressed up with front spotlights, has all new rubbers and window scrapers, new number plates and a passenger side mirror. 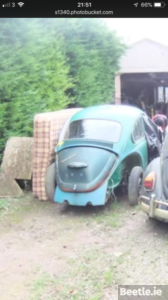 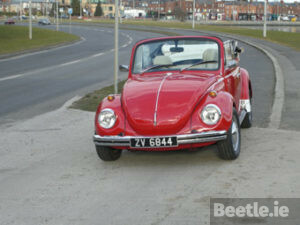 If this is your Beetle, you should be very proud. 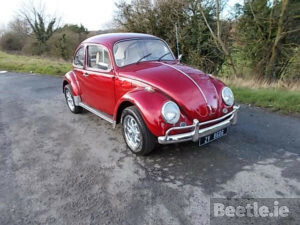 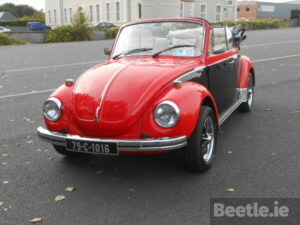 It’s a fantastic looking model and all of us at Beetle.ie wish you many happy miles behind the wheel.